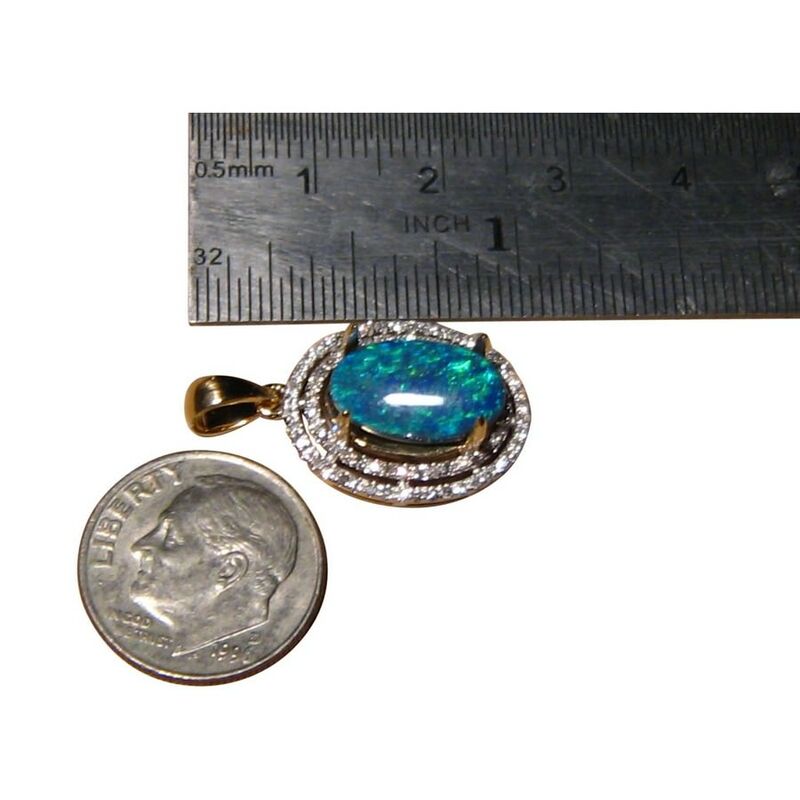 A quality Black Opal pendant with an oval Black Opal accented with a double halo of Diamonds in 14k Gold. In stock and ready to ship. 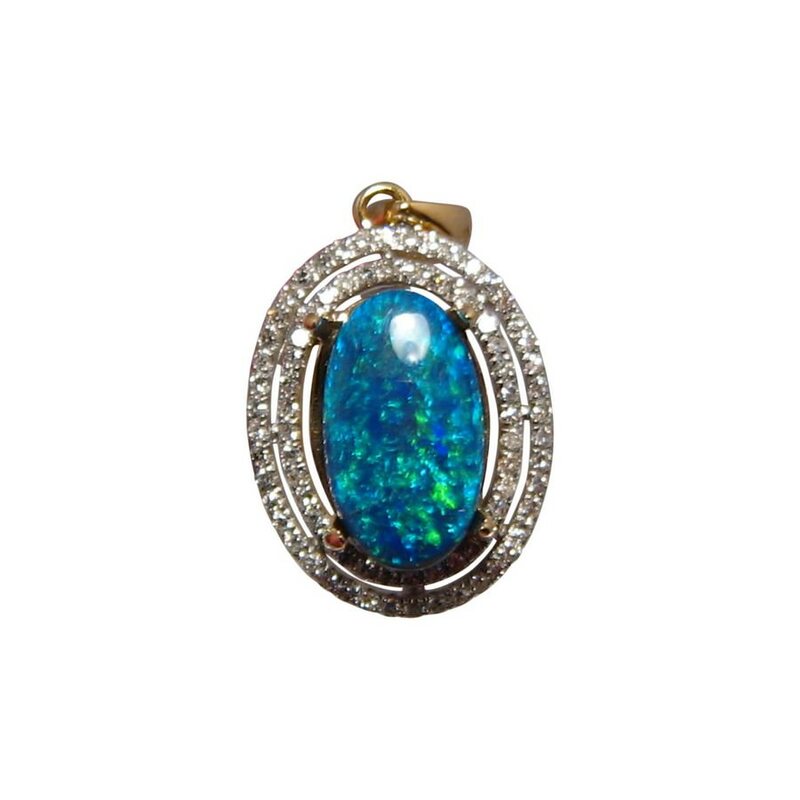 This Black Opal pendant has a beautiful Blue and Green genuine Black Opal accented with diamonds and shown in Yellow Gold. 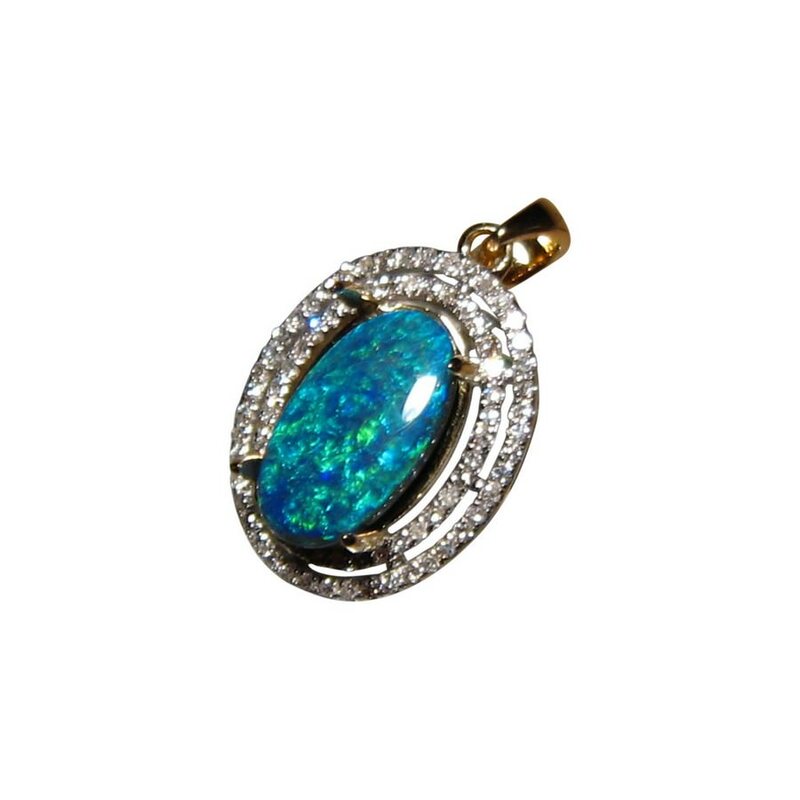 The colors are bright and with the double halo of small sparkling Diamonds, it is a pendant that will be noticed and admired when worn. 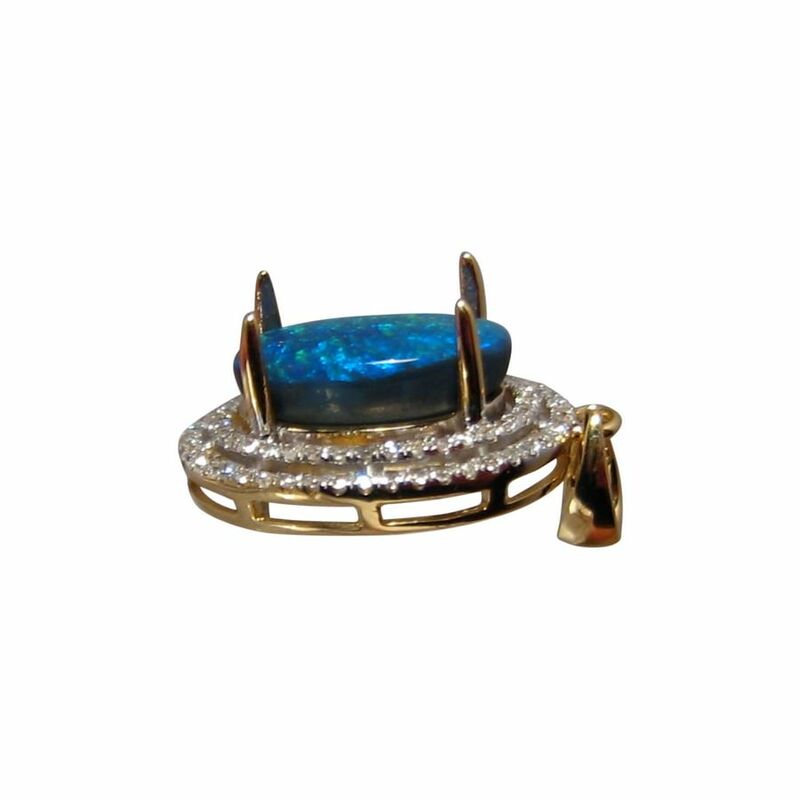 The Opal is shown in 14k Yellow Gold however as it is not yet secured, the pendant can be made in White or Rose Gold before this exact Opal is set This also means the Black Opal can be mounted into a different setting whether a pendant or ring and if you would like this option, contact through this product page for a no obligation price quote. It is ready to ship as shown and will take at least two business days or will take about 21 days for any changes to be made before shipping. A chain is not included.